Trustees Executors (TE) already-busy recruitment drive has gone into turbo mode following the departure of three more senior staff over the last few weeks. John Winch, former TE head of private wealth, finished with the firm last week following earlier resignations from long-time client services manager, Sean Roberts, and more recent hire, Peter Wells. The latest triple exit comes just weeks after TE head of governance, Mel Hewitson, resigned. In December 2017 another TE stalwart, David Mansfield, head of business development (and integral to the firm’s lucrative fund administration arm) departed after nine years in the role. Interestingly, both Mansfield and Hewitson have recently resurfaced at competitor firms: the former on a 12-month contract client services role with BNP Paribas Securities Services in Wellington; and, the latter as a non-executive director with the recently-rebooted Heritage Trustees. Roberts, who spent over 18 years with TE – mainly as a governance specialist, has taken up the customer services manager job with Masterton-based Forest Enterprises. Forest Enterprises is a TE client. Also on the TE supervisory side of the business, Wells, monitory manager governance and oversight for just over a year, left recently for a gig at the Financial Markets Authority. 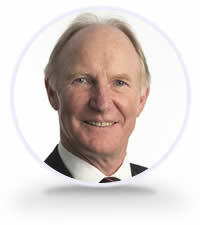 It is understood that Winch, who joined TE from Kiwibank/GMI about 18 months ago, is pursuing other options. Rob Russell, TE chief, said while the rash of high-level resignations depleted the group of institutional knowledge, it would look to recruit replacements as soon as possible. This year TE has already hired three new client services staff to bolster the group’s fund admin business but has yet to replace Mansfield in the senior role. Russell said the recruitment process had unearthed a few potential candidates for the various open roles (prior to the latest resignations). TE operates three business lines: wealth management; supervisory (traditional trustee services); and, the most-profitable fund administration arm. Last year TE retained its biggest fund admin client, Fisher Funds, following a highly-competitive bidding war. However, the firm recently lost the registry contract for the $5 billion plus Milford Asset Management. Over the 12 months to September 30 last year TE reported a net profit after tax of about $9 million. In 2015 TE was shopped around in Australia with a reported offer of about $150 million then on the table. Russell said TE was not currently on the market. “The company is not for sale at all,” he said.